I believe that pictures do say a lot more than words but I would like to say a few things regarding my recent show in 29 Palms. First of all a BIG thank you to Gretchen for being such a fabulous gallery hostess. 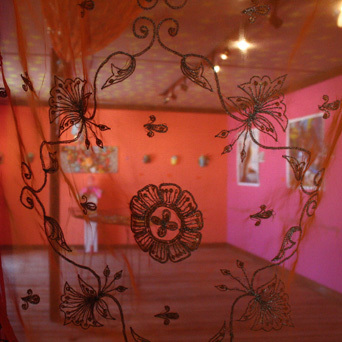 Had the walls painted magenta and orange before I even got into town. We even had fire dancing thanks to Anna “Astralina Galaxina” Houghton. Also thank you to all those who came to see the art. The idea of exhibiting in three mediums was new to me… but I felt the effect was infectious or something… like that. 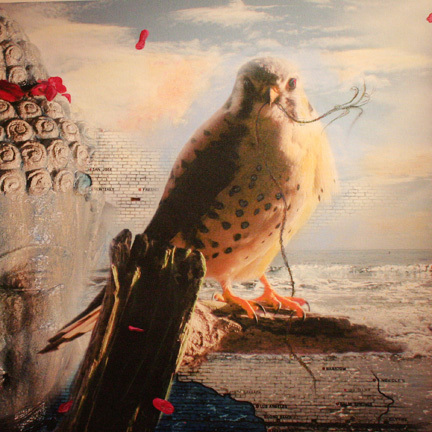 Buddhas and birds. Fleeting moments. 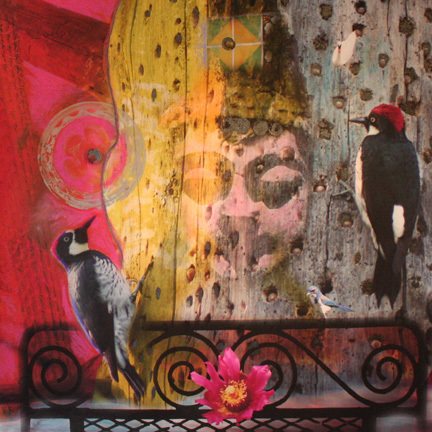 The 30×30 canvas with the Buddha and the Woodpeckers is available for purchase. 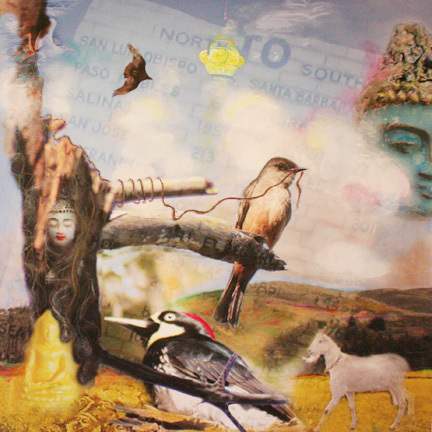 The Buddhas and Birds show is still up til the end of the month of April in 29 Palms at the 29 Palms Creative Center. Perry, I was at the opening of the Buddha and Birds exhibit and it was excellent. You are a true talent! The picture with the kestrel was our favorite (if it is possible to pick just one) and will surely find its way in our house soon. My wife says so.